School’s out for summer, but there are many non-profit webinars available throughout July. We’ve rounded up 21 free webinars on topics such as: “10 Things Your Nonprofit Website Needs”; “Tips & Tricks for Successful Grantseeking ”; “Social Media & Volunteer Engagement”; strategies for finding another hour in your day; and much more! Take a look through the list of webinars below and share this with your friends and colleagues. If we’ve missed a free non-profit webinar, please add a brief note in the comments section below. Your organization's website is critical to your success. It's the place to tell the world about your mission and motivate visitors to take action - whether it's making a donation or signing up for your services. For many organizations, it's difficult to know where to start. What do you do next with your website and how do you manage it? This 4Good webinar will share the 10 things you must do (or stop doing) in 2014 to grow your online presence and effectively engage, inspire, motivate and mobilize your web audience..
Join VolunteerMatch for a special joint edition of the Nonprofit Insights and Best Practice Network webinar series, as we welcome back three experts in corporate-nonprofit partnerships who will present from multiple perspectives: Nonprofit consultant Mazarine Treyz will represent the small nonprofit viewpoint, Desiree Adaway of The Adaway Group will provide the voice of large organizations, and Amanda Lenaghan from the Charles Schwab Foundation will present the corporate angle. Registrants will walk away with new knowledge, practical strategies and tactics, as well as concrete resources and handouts. Whether you work at a nonprofit or a corporation, this webinar will enable you to move your program to the next level through successful partnerships. Participating in CharityHowTo’s “Tips and Tricks for a Successful Grant Seeking Strategy” will provide you with insider knowledge about what funders are looking for and some specific tips you can use when reaching out to funders and crafting grant applications. Having served as a Program Officer for a statewide public foundation, Diane is uniquely qualified to help you best translate and understand the materials put out by funders. Join the experts for a free TechSoup webinar to discuss how your office can leverage phones, tablets, and hotspots for social good. Learn how to craft a BYOD (bring your own device) policy, set up a virtual office, cut the wire to work from anywhere, and adopt remote work strategies to support your cause and staff. This webinar is part of a four-part Mobile Impact webinar series, presented by TechSoup, BetterWorld Wireless, PayPal, and Network for Good. As a nonprofit, diversifying your funding sources is imperative to the livelihood of your mission. While Network for Good has you covered for all things online fundraising, to support your quest for grant "rockstar-dom" we've called for the ultimate reinforcement! Join this Network for Good webinar workshop as the grant guru herself, Cynthia Adams, provides a clear picture of what it takes to prepare compelling letters of inquiry and grant proposals. She'll walk through exactly what documents you'll need as well as how to polish and present these documents for a successful grant request. * Make your grant proposals not only a joy to write, but make them stand out from other submissions—make them shine! Volunteer engagement is changing. What do you need to know about social media as a volunteer program manager? How can you use social media to promote your volunteer opportunities and recruit volunteers? This VolunteerMatch webinar will offer an introduction to including social media in your volunteer recruitment and retention plans. You'll see examples of Twitter, Facebook and YouTube pages, as well as blogs that other nonprofits have successfully used to draw attention to their organizations and volunteer opportunities. You'll also learn about the social media tools available as part of your VolunteerMatch account that can help you promote your volunteer opportunity on other social networking sites. Following their April 8th webinar WHY YOU: What makes a great LinkedIn profile for nonprofit professionals, this 4Good webinar will cover more material to improve your personal and organization's use of LinkedIn, going beyond the personal profile. Learn for others' successful use, with examples of best practices and tips to make LinkedIn benefit your mission. Best ways to show the company profile for your agency and showcase an event, project, etc. Then open it up to Q&A so you can ask me "how the heck do you ...?" 7 questions I hear a lot, but I'm not so sure you do. Ways you can create a more open dialogue. Strategic planning is a pliable term that gets attached to a wide range of activities, from defining programs and services, to budgeting, communications, information technology, and even facility planning. But these are very different kinds of activities, and should involve discrete participants, processes, tools and products. This 4Good webinar will look at the various kinds of planning required in a nonprofit, and see how they can intersect with and reinforce each other. By presenting planning as a composite of separate activities this 4Good webinar will provide an approach that is more strategic, more effective, and less stressful. Tips for understanding when you are organizationally ready to launch an engagement campaign. Organizational resources and assets needed to develop an engagement campaign. Critical elements of successful online engagement campaigns. A roadmap for developing your own engagement campaign. 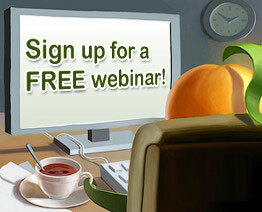 If your organization offers a free webinar that would be of interest to non-profit, membership or volunteer-based organizations and you want to include it in next month's post, please email a brief overview (like those above) to lori@wildapricot.com no later than July 21st. Community IT Innovators will be hosting a FREE webinar Thursday July 24 from 4-5pm EST: Taking Another Look at Sharepoint. If you are using Offce 365 or thinking about it please join us for a discussion of Sharepoint as a collaborative tool and learn how other nonprofits are using it. Community IT Innovators CTO Matt Eshlemen and Project Manager Steve Longenecker will talk about pros and cons and discuss ways to introduce your team to this tool. Please forward to your nonprofit colleagues who could benefit from this free resource, tech managers or accidental or otherwise! Carolyn: Thanks for sharing that information. There is huge potential for impact when you connect your organization to individuals with the capacity to make a significant gift. In this webinar, Kathie Kramer Ryan will outline 7 steps to building a successful major gifts program, with an emphasis on leveraging your database to identify and engage major donors. You’ll learn how to plan your campaign, how to track donor “touches,” and how to follow up to maximize donor cultivation and stewardship. NOTE: Make sure the stay until the end of the webinar as Kathie is going to give one lucky attendee a free 30 minute Strategy Session. The session will be a 1-on-1 call where you and Kathie will figure out together how you can get your largest gift ever for your nonprofit organization.